God created creatures on earth in pairs of life, once humans are created living in pairs of men and women who by nature have a role as personal beings as well as social beings. 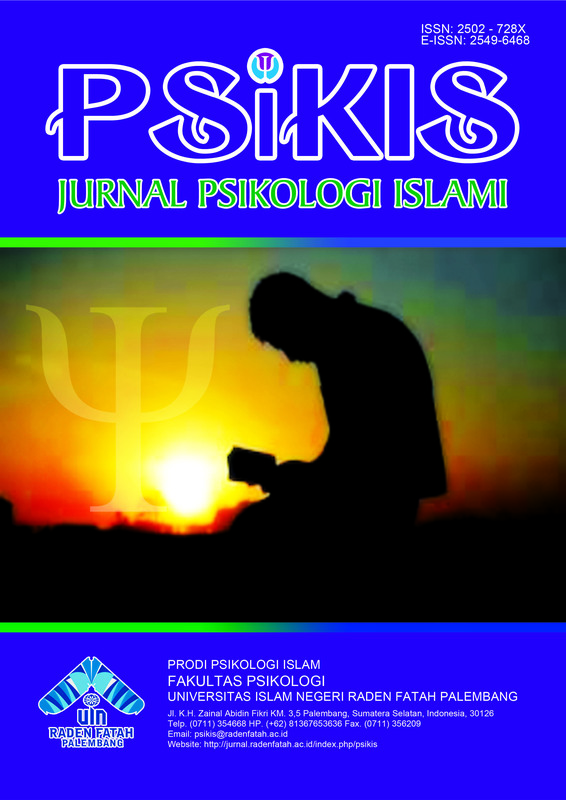 The purpose of this study is to find out the reasons for teenagers in marriage and to know the life of Muslim teenagers after marriage at an early age in the city of Palembang. This study consists of 4 teenagers and 4 supporting informants that are subject parents, adolescents are taken into the study that is aged 18-23 years. The technique taken in determining the subject is purposive sampling. The method of analysis used in this research is descriptive qualitative research method. Data collection is obtained from interviews, observation, and documentation. And test plan of validity of research with extension of observation, triangulation and holding member check. As for the reason of marriage that has been pregnant outside of marriage, seeking comfort to his wife to replace the mother who has died, low education, and love. The psychological condition of the subject who married early with his marriage, that can be concluded from the four subjects there are three subjects who are happy with his marriage, and one subject was less happy with his marriage. However, the four subjects feel better change, and the four subjects expect their marriage only once in their lifetime.